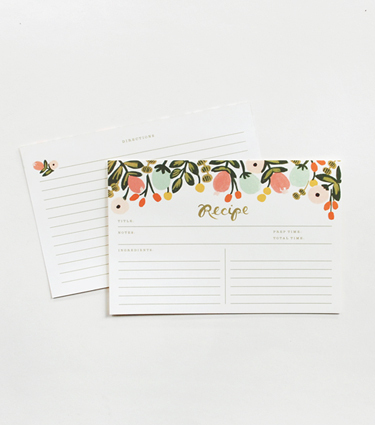 Family recipes make great gifts. 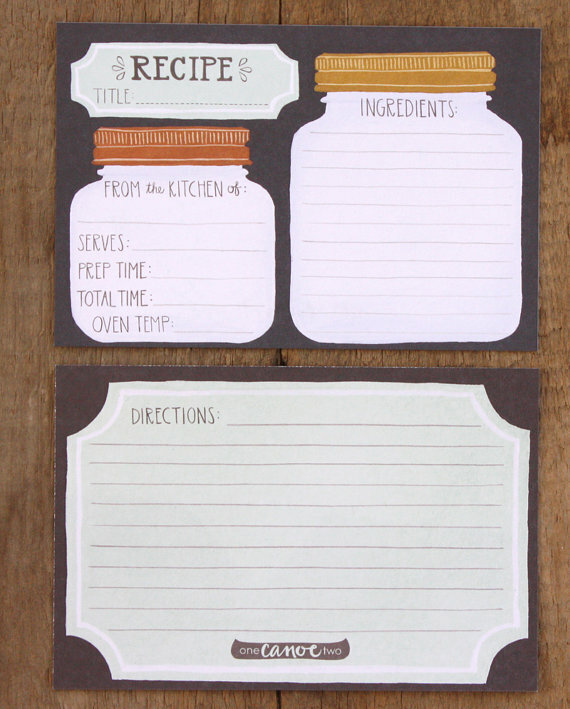 Here are some pretty recipe cards that would be perfect for your family favorites. You can slip a few in a stocking or start a recipe box. If you can’t all be together for the holiday, everyone can still enjoy some of Grandma’s Chocolate Pie! If you’re curious about Grandma’s Chocolate Pie, here’s the recipe. It’s simple and yummy. Melt the chocolate with the milk and the marshmallows in a double-boiler and then allow to cool. Whip the cream and fold into the chocolate mixture. Fill pie crust with mixture and refrigerate until ready to serve. Enjoy!